This time around it is the recent General Election I will be breaking down, which sees the electorate take to the polls to vote for one candidate from a political party to see them through to one of the 650 seats up for grabs across the UK (18 of which are in Northern Ireland). My thoughts on this election are summed up in these 5 words. As you might have already heard, the Conservatives suffered crippling losses at the hands of Theresa May’s ‘gamble’ to call this premature election in the first place. In order for the Tories to take sole leadership in the UK, they must hold a majority of 326 seats. Although, they only managed to gain 318 seats, meaning they lost their reigning majority in the House of Commons and ultimately the sole power to run this country. But lets be honest, it was probably the farmers revolt against Theresa for ruining their crops. Although they still hold the most seats of any party in the UK, they need the help of a smaller party to form a government – this is when the DUP come in to play. 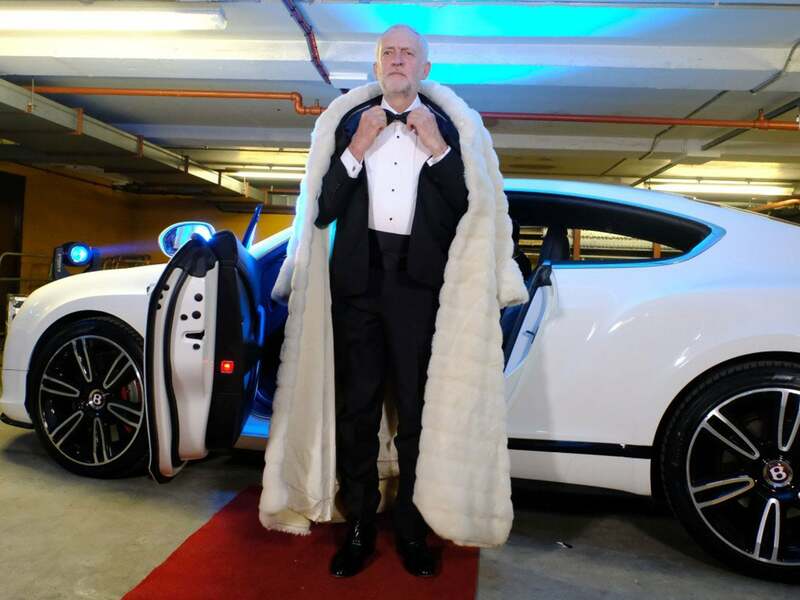 The Labour Party under Jeremy Corbyn triumphed in this election, turning around their less than satisfactory polling in the 2015 election to gain 29 brand new seats, upping their total number of seats to 261. I am pinning this unbelievable result on the students who registered to make their voice heard in an election campaign where Corbyn capitalised on student debt worries and promised a free ride to higher education if he was voted PM. It was the mass student outcry in key Uni areas such as Kent and Leeds that helped Labour win over the Conservatives in historic proportions. What Labour did in this election, is similar to how the Sinn Fein removed the DUP majority in Stormont elections just months ago. This is a tremendous achievement for both liberalism and socialism. In NI, a vote holds a completely different political agenda as to if you were voting Labour or Conservative in the rest of the UK. Instead of voting Left or Right, you most likely voted Republican or Loyalist. The reason I use the two more extreme versions of the NI division (instead of Nationalist and Unionist), is because Northern Ireland has seen a surge in radicalisation, as the NI voters decided to mostly go DUP or Sinn Fein. As predicted in my last blog, we have seen a total annihilation of the UUP and SDLP, two ‘softer’ parties with less hard-line policies (despite the UUP and DUP being as backward as each other). The Foyle constituency, described as a ‘Citadel of the SDLP’, was a historic win for Sinn Fein as it has been for decades the political stronghold of the SDLP. Another huge success for SF is South Down where Chris Hazzard won the seat from SDLP’s Margaret Ritchie. DUP also stole the seats of South Antrim and South Belfast. Sinn Fein will continue their policy of abstention where they do not take their seats at Westminster. Where do the DUP come into all of this? Since announced by Theresa May that the Tories will be entering into an official partnership with the DUP to be able to form a minority government, the DUP have been the most searched political party on Google in the UK. Voters will be wondering who Arlene Foster is and what her political agenda is. They will come across articles on the ‘Cash for Ash’ scandal, her bigoted stance on gay marriage and abortion and her pro-Brexit policy. Of course, English news websites have highlighted Foster’s troubled past with the IRA, likely to resonate with those in England still fearful of the terrorist group since the 1990’s. I should not need to go into the ancient, obnoxious policies of the DUP, but it is imperative that you know that their stance on some key humanitarian issues have no place in modern day society in NI. As a line dancer myself, I find the first one most upsetting….. The DUP’s aim with working with Theresa May is to help achieve their Brexit goals, like pushing for a soft border due to the special circumstances which surround NI and the ROI. In a way, it is good that Northern Ireland finally have a significant impact on the going-ons in Westminster, but on the other hand I am frightened that it is the DUP who have the say. So there we have it. Despite the British people showing a clear want for a political reform, we have against all odds seen the most shocking election in decades, with a Conservative government upheld only by the Democratic Unionist Party. In 2 and a half years, I have voted in 4 elections. Each time I made my voice heard, despite belonging to one of the most secure nationalist constituencies in the North. I still need to utilise that vote to make sure the party I believe in are getting popular support. If you didn’t vote, I have no doubt you will get the chance to very soon. Thank you Shannon, that was definitely made easy for me to understand.